In July 1992, with $20 in the bank and a gut load of energy, passion, determination, sheer bloody-mindedness, naiveté, and a whole lot of heart, Leanne de Souza started her first music business. Twenty-three years later, she choose to let it all go – choosing to take extended long-service leave from a lengthy, self-employed tenure as an artist manager. Working in artist management since 1997 – 2015 Leanne represented several high profile artists including: Thelma Plum, The Medics, The Painted Ladies, Liam Gerner, Kate Miller-Heidke, Stringmansassy, george, Katie Noonan, Misinterprotato, Transport and Miles From Nowhere. 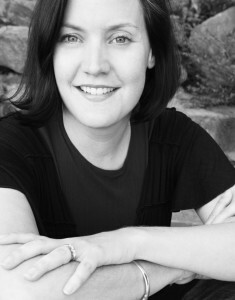 Leanne is also a foundation board member of the Queensland Music Network Q MUSIC and a previous Executive Programmer of BIGSOUND (2006), an experienced workshop facilitator for the boutique consultancy FIELDWORX and previously a lecturer in music business at Griffith University, TAFE and JMC Academy. I was invited to share some reflections, thoughts, and advice on artist management not too long ago with Music Industry Inside Out. I would like to pay respect to and acknowledge the Turrbal, Jagera/Yuggera, Kabi Kabi and Jinibara Peoples as the Traditional Owners of the lands where I work and live.